I'll make no bones about it, I love eating meat! I've never been interested in reducing my meat intake or cutting meat out altogether and going down the vegetarian road so when I see 'Veggie' food stories, I tend to skip by them. 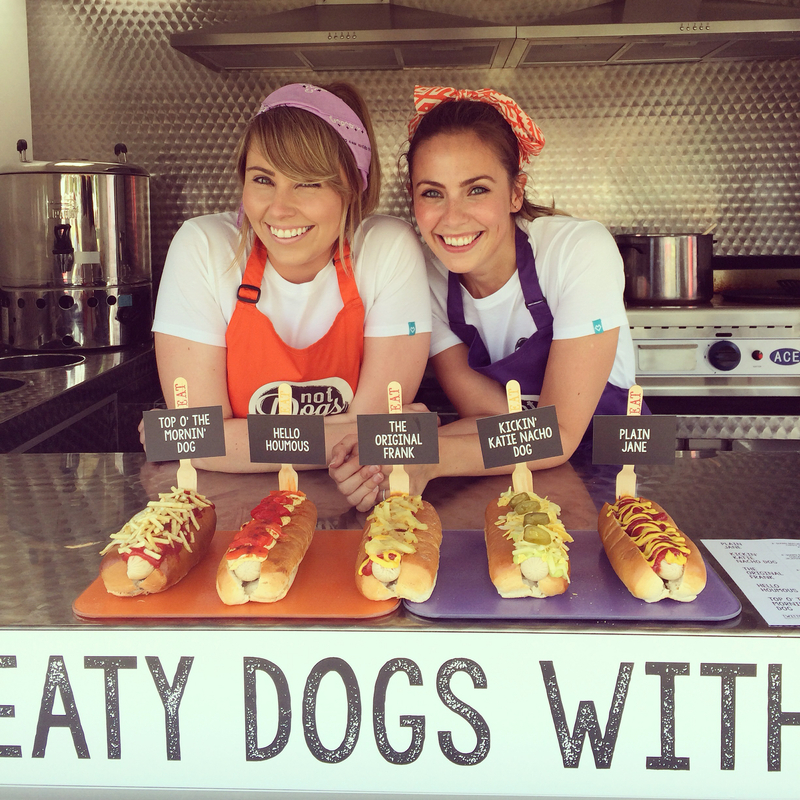 However when the girls behind Not Dogs, a veggie hot dog business, appeared on BBC Dragon's Den at the tail end of last year, I couldn't help but thinking that maybe they had come up with a veggie product that I might actually want to eat. 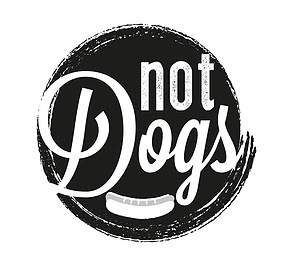 Not Dogs is the brainchild of Katie and Jane, one meat reducer and one vegetarian, who after struggling to find mouth-watering veggie 'fast' food, spent two years traveling around the country in their little food truck perfecting a menu of veggie sausages that they felt were ready to be unleashed on the public. Keen to take Not Dogs to the masses, the girls stood in front of The Dragons hoping to get an investment that would catapult their meat free business to the masses. Katie and Jane put up a good fight but in the end, none of The Dragons were willing to put the meat on the bones of the girl's veggie dream and they left the Den with lots of good advice but without the much needed cash to take the business to the next stage. Undeterred by the lack of investment in the Den, Katie and Jane have continued to concentrate on developing their brand and have since opened their first restaurant in Birmingham's Bullring with plans to open more across the country. Not Dogs first restaurant is proving to be a big hit with vegans and even meat-eaters so I was keen to know more about the girls behind the brand so got in touch to see if they would answer 5 Questions and much to my delight, Katie and Jane jumped at the chance to involved. We both met at our previous jobs in an advertising agency, working together on PR and social media campaigns for a number of brands, and both discovered a love for creating brands! We started by launching a successful social media training consultancy but vegetarian fast food (and the lack of it!) kept popping up in our minds. I'm (Jane) a veggie and Katie is a meat-reducer so we put our heads together and came up with Not Dogs! Three months later we were at our first festival in our little purple food truck! After two summers 'on tour' and after listening to customers ask 'where's your restaurant' we decided to go for it and open up in Birmingham's Bullring. Don't give up... there's so many times when you're so tired, or you've had a few setbacks, that you want to give up but the only way you'll succeed is by staying resilient, united in your goals, reflecting on what's happening and adapting all the time and just keep going! We'd love people to be able to access Not Dogs all over the country... all over the world! We know how excited people get by our values and our menu so to recreate this at multiple locations would be amazing. If you could only have one of your own Not Dogs, what would it be & why? 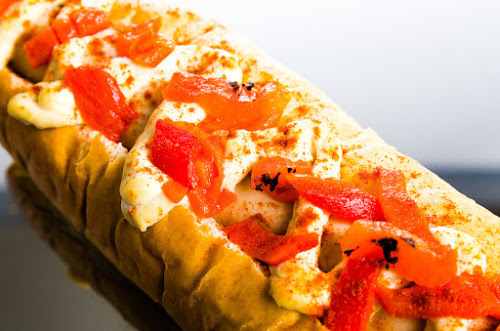 Ooh that's a hard one, we should probably say the Plain Jane or Kickin' Katie Nacho Dog - our namesakes or our most popular Not Dog 'The Original Frank' but I think it would be the Hello Houmous - a Not Dog topped with houmous, roasted red peppers and smoked paprika. 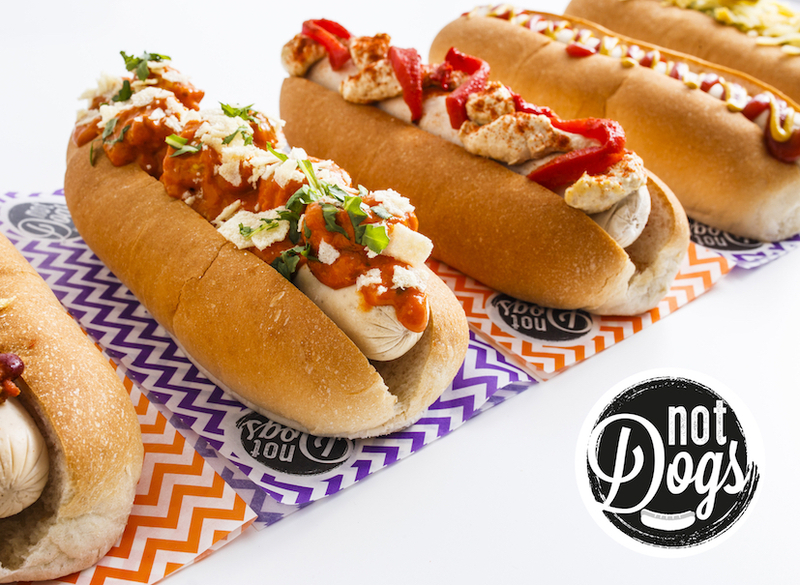 When we were testing the initial menu recipes we thought houmous on a 'hotdog' couldn't possibly work...but once we tasted it we were in love! 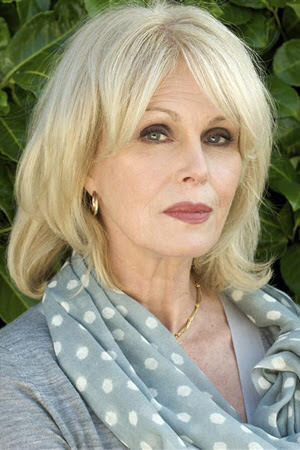 I spoke to Katie about this and we both love the idea of sitting down to eat with the iconoclast that is Joanna Lumley, she is a hero of both of ours and we'd create a flamboyant Not Dog in her honour accompanied of course with a glass of champagne or two! Since appearing on Dragon's Den the girls have been incredibly busy so I would like to thank them for finding time to answer 5 Questions and also wish them every success in the future. As I said at the start, vegetarian food hasn't done it for me in the past but the menu at Not Dogs looks very tempting so the next time I'm in Birmingham, I'll be making my way to their Bullring branch to see what all the fuss is about. I would like to thank Katie and Jane for taking the time to answer 5 Questions and wish them all the best for the future. Keep up to date with news from Not Dogs on Facebook and Twitter. 2º Batalhão de Operações Ribeirinhas realiza atividade de liderança para alunos da EFOMM.